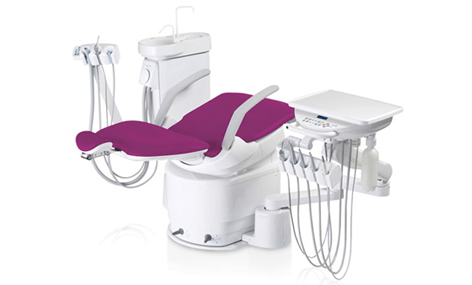 The A-dec 300 is a simple, smart and stylish dental chair supplied with either a pedestal or radius-style control. 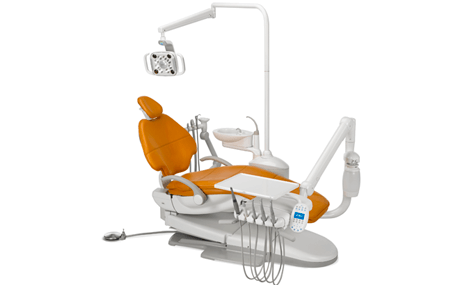 Available from Curran Dental, this treatment centre facilitates superior dentistry whilst ensuring the comfort of both those receiving dental treatment, and those providing it. 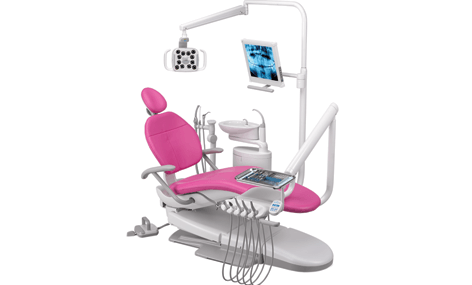 Specifically designed for ease of use within a modern dental practice, and supplied with a 5-year warranty, this dental chair incorporates function with formality. 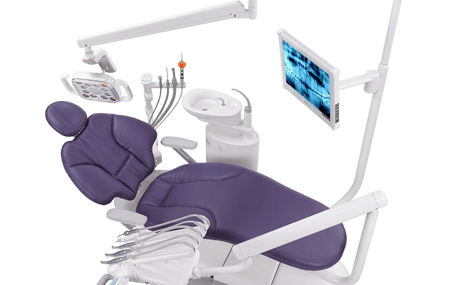 Pressure mapping, contoured surfaces, and a virtual pivot back ensure patient comfort and support throughout dental treatment. 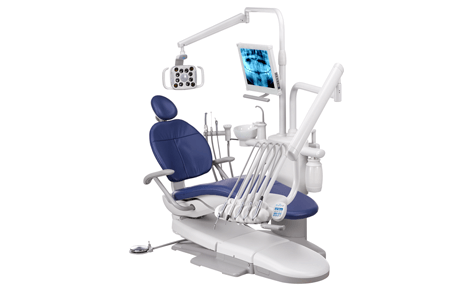 The ultra-thin, flexible back provides excellent oral cavity access, while the thin profile allows you to tuck your knees under the backrest and around the headrest regardless of the position in which you need to work. Adjustable head rest and hydraulic lift cylinder. Sleek, stylish, and simple to fit any practice. Contoured surfaces for patient comfort. Optimum mouth and oral cavity access. Hydraulic lift cylinder engineered for 20-year life. Sewn or seamless upholstery options. 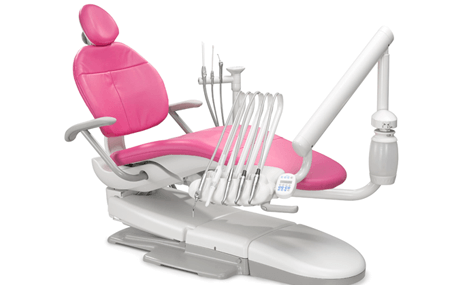 Different upholstery colours to suit your practice. Sturdy yet stylish design for ensured longevity. 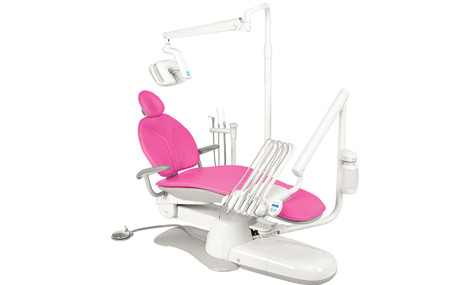 Thin profile allows seated treatment comfort. ©Copyright Curran Dental. All rights reserved 2019.